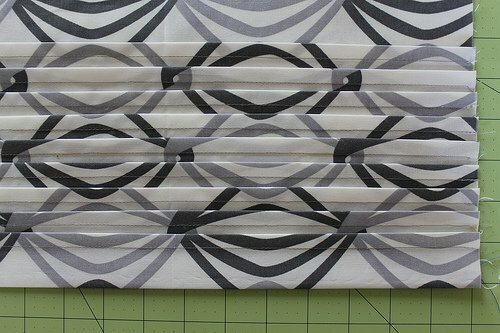 "We're so psyched to welcome our dear friend Rachael from Imagine Gnats today with a super-duper awesome tutorial for a pin-tuck pleated pillow. I think both Angel and I said "wow!" out loud when we saw the photo of her finished project. We are so impressed -- and so excited that she is willing to dish about her sewing process here! "We hope you'll pay Rachael a visit on her blog Imagine Gnats where she's constantly sharing her latest crafty adventures. Trust me when I say, the girl never stops and she is talented! You can also find Rachael on Facebook, Etsy and Pinterest. Without further ado, I'll let her take it away!" "Hi! 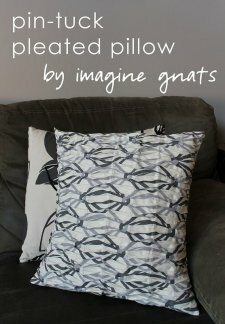 I'm Rachael, from imagine gnats, and I'm here today to share a tutorial for making this pin-tuck pleated pillow cover. 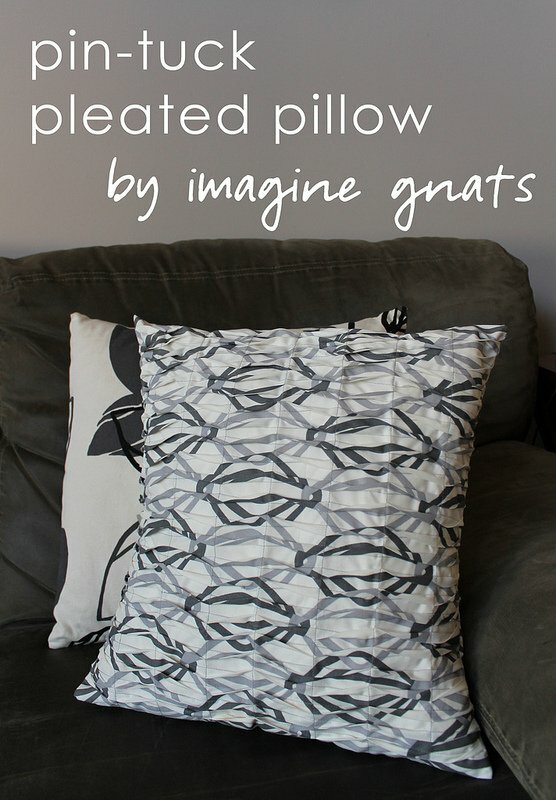 The pillows on our couch were in desperate need of a makeover and Feather Your Nest was just the thing to inspire me to recover, well, one of them :) The other five are still on the to-do list..."